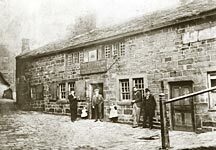 So determined were Hebden Bridge temperance groups that when the council purchased Garden Square in the early 1890s, a campaign was mounted to close the Hole-in-the-Wall Inn, which had stood on the site for centuries. Seven candidates representing the Temperance Association stood in the local election of 1894 on this issue alone, but only one was successful. 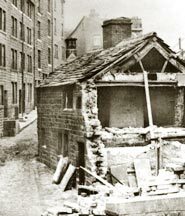 Five years later the original pub was pulled down only to be replaced by the one still standing to this day.